The fifth flavor for Optimum Nutrition’s sweet and enjoyable protein snack, Protein Almonds, is now available. 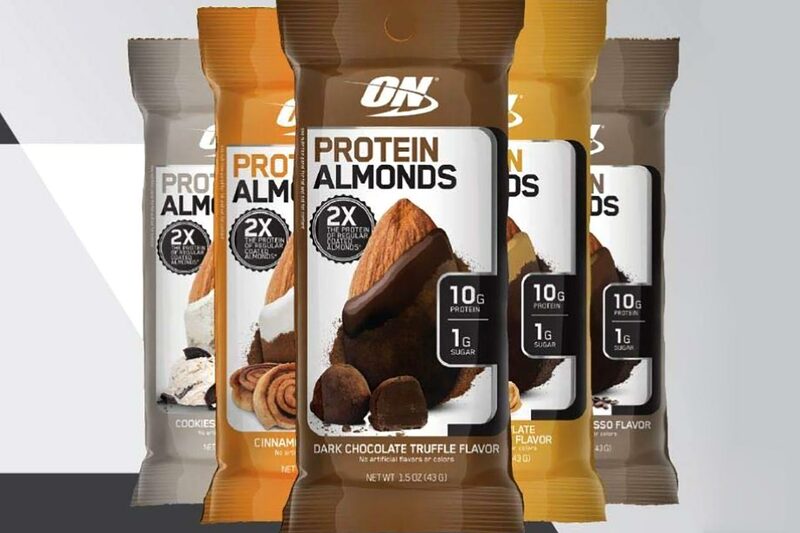 It was just last month that a Cookies and Cream option was confirmed for the product, which is also a flavor that was confirmed yesterday for Optimum’s other enjoyable snack, the Protein Cake Bites. One of the first places to show up with availability of the newest addition to the Optimum Protein Almonds menu is none other than Amazon. The online giant has it in stock for the reasonable price of $24.99 for a box of 12 packets, and it’s available to ship free for members of Amazon Prime.